Every year during Scout-Guide week, my Scout group tells the story of how Lord Robert Baden-Powell started Scouting and how the organisation grew from a few boys on Brown Sea Island, to one of the world’s largest youth organisations today. This is a tale I have heard so many times that I can tell it myself, but I was always left wondering how Scouting came to Canada in the first place and spread so quickly across the country to my hometown of Winnipeg. What made the first Scouts join? Were they any different than we are today? Recently I decided to answer these questions and I did some research about the history of Scouting in Canada. What I found was fascinating and gives some interesting context to the youth program that I know and love. Scouting began in Manitoba back in 1908, not long after the movement took shape in the United Kingdom. Of the Groups founded in the first few years, only the 3rd Winnipeg Group is still in operation, having began in 1909. In 1910 the Dominion Council of Canada was formed by Baden-Powell, who asked his friend, Governor General Earl Grey, to be the first Canadian Chief Scout. Since then the Governor General has been considered the Chief Scout of Canada and holds a symbolic role in our organisation. Scouting in Canada spread rapidly, with members predicted to have been over 50, 000 in number by the summer of 1911. The growth of the movement was directly linked with the continued imperial ties between Canada and Great Britain, as the youth who were, originally, most commonly in Scouting were boys from British families that had recently immigrated. According to Patricia Dirks’ essay “Canada’s Boys—An Imperial or National Asset? Responses to Baden-Powell’s Boy Scout Movement in Pre-War Canada”, some of the youth learned of the program through periodicals marketed towards young boys, while others got a hold of Scouting for Boys from friends or relatives in the UK. The program was considered valuable for many of the same reasons that it is now, such as teaching youth leadership, teamwork, independence and resourcefulness. It also promoted good citizenship values and loyalty to the crown, which made the program particularly popular with Anglo-Canadian families who wanted to pass on their love of Great Britain and Canada to their children. The program was also favoured for being a good way for youth to gain the skills and values that they would need if they were to join the armed forces. In her essay, Dirks notes how militarized Scouting was at the time, which was reflected in its early leadership; seven of the eight provincial Scouting commissioners who were originally appointed by the Dominion Chief were military men. Within the first Manitoba council there were multiple men with military titles, including Colonel Steel. There were several Scouters across the province with military titles as well, many of whom were interested in the program for instilling military practises and values within youth at a young age. This military heritage is still evident today in the uniforms, awards, and ceremonial systems of Scouting, but not practiced as it once was. According to Sons of the Empire : The Frontier and the Boy Scout Movement, 1890-1918 by Robert H. MacDonald, the militarisation of the movement came partially in response to the growing fear of war in Europe leading up to World War I. In a speech given by Baden-Powell during his Canadian tour in 1910, he expressed his hope for the youth in Scouting to have the ability to protect the empire as the next generation of soldiers, and for Movement to give them the skills they would need for it. Many of the youth who joined were also looking at careers in the military and admired the work of Baden-Powell, who was known to them as a hero of the Boer War. These political motivations were a part of what led to the rapid spread of Scouting and its values, but today militarisation, imperial loyalty, and the like are no longer elements in our program. Alternatively, traditional Scouting aspects such as adventure, fun and education—which drew Scouts in the early 20th century—continue to attract boys and girls to Scouting today. In Moments and Memories, an ex-Scout named W.W. Schnarr, writes about his adventures as a child in the 1st Killarney Group from 1911-13, and how they went camping and attended fairs, festivals and other events. He also remembers going on marches and playing in a military-style marching band with his Troop. Other events from Scouting’s first years in Manitoba included a Boy Scouts Games in 1911, a Snow Shoe Tramp in 1913, a Grand Beach Camp in 1916, and too many others to name. These activities and camps are similar to Scouting events today and attracted youth back in the beginning of the movement, just as much as they appeal to boys and girls now. Overall, there are many factors that brought Scouting to Canada. 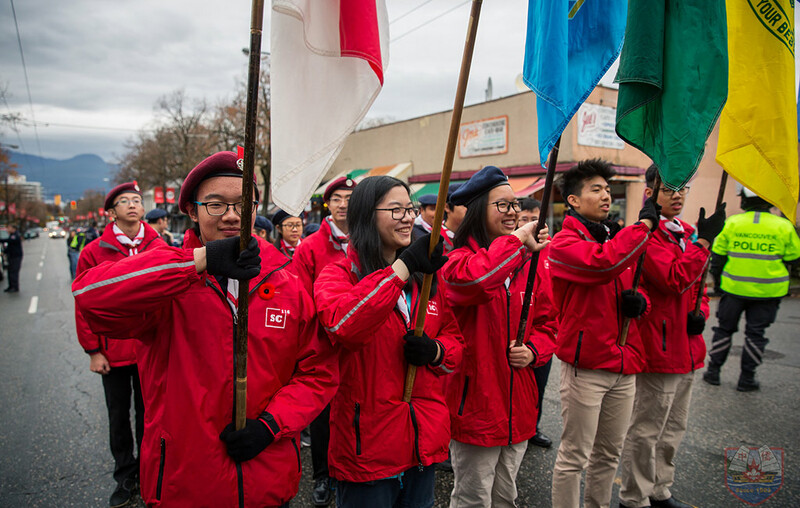 The imperial, patriotic, and military motives were largely what led to Scouting being initially exported overseas, as Baden-Powell and the pro-British government went out of their way to support and enlist leadership to help the organization take off; yet the spirit of Scouting is what drove youth to join. Many young people love adventure, excitement, new friends and the chance to excel, so when a program provides all of these, it is made to last, and last it has. Boy Scouts of Canada. Manitoba Council. Moments & Memories: A Glimpse at Manitoba Scouting, 1908-1982. Winnipeg: Boy Scouts of Canada, Manitoba Council, 1983. MacDonald, Robert H, and Gibson Library. Sons of the Empire: The Frontier and the Boy Scout Movement, 1890-1918. Toronto: University of Toronto Press, 1993. Dirks, Patricia. “Canada’s Boys—An Imperial or National Asset? Responses to Baden-Powell’s Boy Scout Movement in Pre-War Canada.” Canada and the British World: Culture, Migration, and Identity, Phillip Buckner and Francis, R. Douglas, eds. Vancouver: UBC Press, 2006. ProQuest Ebook Central.